Buy my CD today! Get a free decal ! The long-waited full-length debut from Austin’s J.D. Faron is here. "It’s Here" is the driving first cut from "THIS TOWN," (Genuine) and is one of five re-mastered cuts on the disc which appeared on Faron’s pre-release EP. From the opening guitar riff, it’s easy to tell that J.D. Faron has captured Texas in honky tonk fashion. Faron has a diverse vocal quality, always true, and as he spans his adequate range, the intonation gives you an invitingly fresh feel on each level. On the title cut, Faron is all but the reincarnation of Jim Reeves, in style, delivery, and accuracy. The song is a lament of anyone who has suddenly found himself in a place he no longer wants to be, such as a forlorn lover, a war-torn soldier, or even a musician in Nashville or Austin. "Hey Baby Sweet Baby" is a well-structured two-step, garnished with subtle Beatles crescendos and a hint of Raul Malo in Faron’s voice, making it a great deejay choice. One of only two covers, Rich Young’s "Lucky Me" is expertly presented, and Faron settles into his distinctive vocal range, making this one of the more recognizable J.D. Faron tunes. The Mary Robbins-like "Stolen Love" could be a snuggling couple’s best friend, providing close-up dancing opportunities for any "thieving" pair. A Latin flair lies under the exemplary western sound of "Somewhere Out Of Albuquerque," and Faron is back in the honky tonk arena with the Tyler John co-write, "Tennessee Train." J.D. Faron does a fine job of offering the Flatt/Scruggs cover "A Hundred Years From Now" in a modern country style. While it’s a side step from traditional bluegrass, I'm sure Lester and Earl would be proud of Faron’s rendition. A personal favorite is "Going Home" in which Faron delivers a perfect shuffle performance, reminiscent of the vigor and passion we heard in early Elvis work. The state of Texas turns out talent faster than Detroit turns out fossil fuel-wasting, air pollution machines, but Austin can be proud of this Texas transplant. J.D. Faron was a sponge-like youth, soaking up plenty of Texas in his early nomadic years. Now he's come home to give it back, with interest, one song at a time. Get this MyTexasMusic Select Platinum Member’s "THIS TOWN" for only $13.99! 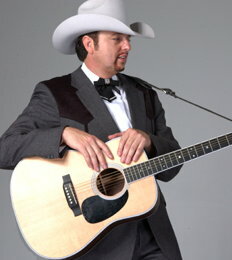 Laurie at www.takecountryback.com gives this review of J.D. 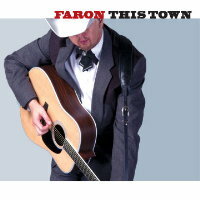 Faron's brand new CD, "This Town"
"JD Faron saunters boldly up to the bar at happy hour and stays well past last call. His debut release is a honky tonk Saturday night's worth of beer-stained, hard-edged twang that'll leave you with one wicked hangover. Country music fans know there's no 'alternative' for the real thing. Either is is, or it isn't. JD Faron's "This Town" definitely 'is'."